The materials and techniques used to craft dentures has advanced significantly in the past few decades. Bulky, ill-fitting dentures that irritated the gums and soft tissues of the mouth have been replaced with lightweight, lifelike prosthetics. Modern dentures are better looking than ever, and can restore normal appearance and normal oral function to those facing tooth loss. If you have lost some or all of your teeth, Dr. David Green of Turnagain Dental can help you navigate your denture options. He understands the struggle and embarrassment of missing teeth, and he is committed to helping you quickly find the best match for your needs. 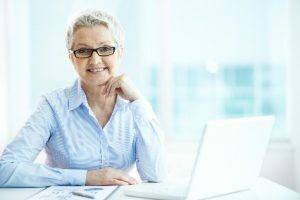 Your dentures will be designed to your exact specifications so they fit the unique contours of your mouth and complement your natural appearance. Dentures are crafted from artificial teeth affixed to a pink plastic base that resembles gum tissue. Complete dentures replace all of the teeth in the upper or lower jaw, whereas partial dentures replace some of the teeth in the jaw. Certain types of partial dentures have a metal framework with small clasps that hug the surrounding natural teeth to keep the prosthetic in place. The metal framework is very thin, but depending on where the clasps are, they may be visible in the smile. Other partials have a plastic framework that is thicker but more flexible and less noticeable in the mouth. Dr. Green can help you select the right type of denture for your needs. The first thing Dr. Green does when designing dentures is to take impressions of the mouth to create molds or models. Once he has a model of the upper and lower jaw, he takes a bite to determine how the patient bites together (i.e., how the upper and lower jaw meet). This information is sent to the laboratory that constructs the partial or complete set of dentures. Dr. Green selects the color, shape and size of the artificial teeth of the denture; in the case of a partial denture, the teeth should be crafted to resemble the remaining natural teeth. Once the partial or complete denture is ready, the patient tries it on in the mouth. Dr. Green checks its fit and the patient’s bite to ensure the upper and lower jaws meet together properly. There is usually a slight adjustment period as patients acclimate to wearing dentures. Generally, within a few weeks the dentures start to feel more comfortable and secure in the mouth. Dr. Green provides complete instructions for cleaning and caring for the dentures. He may recommend special cleaning products to keep the appliances in optimal condition. Dr. Green should also check the dentures periodically to ensure they are in good condition and functioning properly. Some patients opt to secure their dentures with dental implants for enhanced stability and comfort. The process of placing implant-fixed dentures generally takes a few months to surgically place the implants, allow them to heal and then attach a custom denture. Several posts are placed in the jawbone and the denture appliance attaches to the tops of the posts. Once in place, the dentures can only be removed by a dentist. For more information about partial or complete dentures, please schedule an appointment at Turnagain Dental with Dr. Green. Call or email us today to make your appointment.